I stumbled across this fish cake on Pinterest the other day and fell in love. It would be so fun to plan an Under the Sea party around it. You could serve sushi and hang paper nets everywhere. I also love the idea of using clear balloons as bubbles! Have you ever thrown an ocean-themed party? This is such a fun idea, I love how the paper nets look like seaweed! Also, those lips on that fish cake you posted are too darling!!! This is the theme I’ve been planning for my daughter’s birthday in 3 weeks. Thanks for the inspiration! 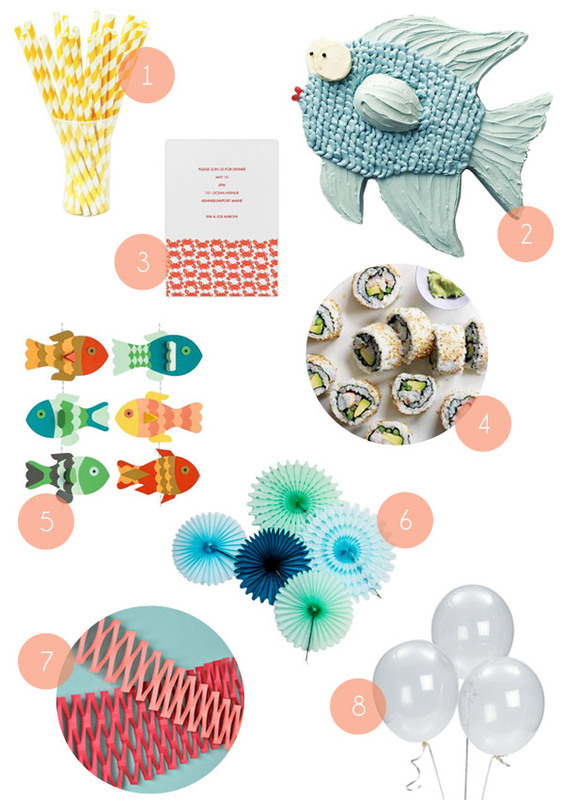 I’ve never thrown an under the sea themed party before..But, after seeing this mood board, I think I might! Did this make anyone else think of Back to the Future? This party looks delightful. Just don’t invite Biff.